Today, it’s not totally difficult to find a good gaming laptop for less than $500. Like we do, all it takes is just some serious planning and research and you could get a good gaming laptop suitable for your everyday needs. The processor is the heart of your machine, so when buying one, you should be meticulous enough in getting a processor for your required performance. The battle of processors at present is between AMD and Intel. AMD processors run on higher multicore and hyperthreading at lower speeds while Intel processors run on fewer cores but at higher processing speed. So when choosing what processor is right for you, search the games that you enjoy to see what type of processor they run better. RAM is the next essential part of your computer. It is best to have at least 8GB RAM because most modern games require at least 8GB of RAM, although some older games require at least 4GB of RAM. 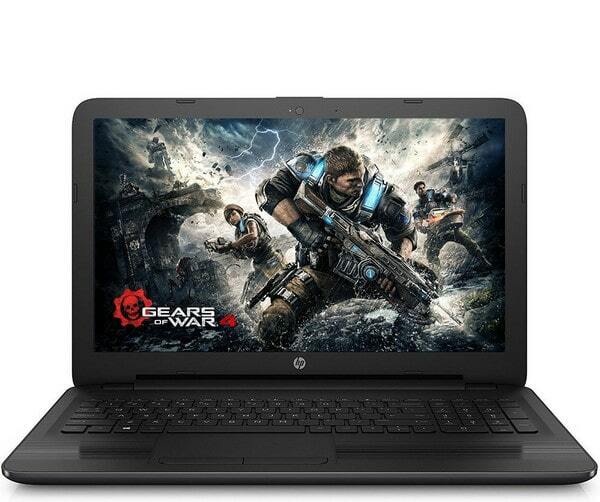 Consequently, if you want to want affordable gaming laptops, you’ve got to make sure it can really run games. After making a choice for the processor and memory, be sure to pay extra particular attention to the screen size, the graphic card, and the storage space. Another important thing that needs your attention is the rate in gigahertz. This is important because of the rate by which your RAM works matters, especially when playing any sort of 3D game, as opposed to a 2D game. 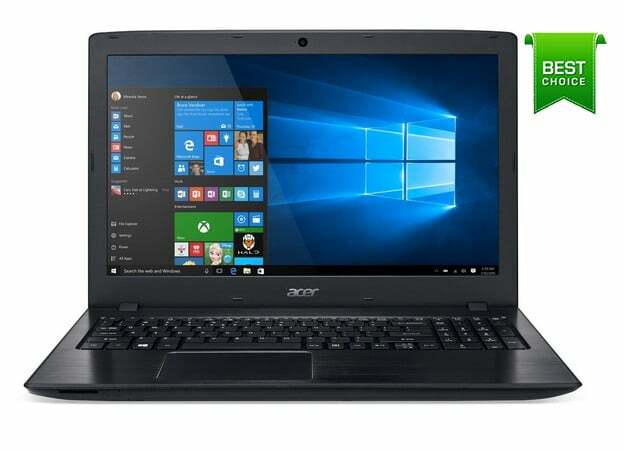 This 15.6-Inch Aspire E 15 E5-575-33BM Full HD Notebook from Acer is a new pocket-friendly, modestly priced laptop with the new 7th generation, 2.4GHz Intel i3 processor, a Full-HD display, a USB 3.1 Type-C port and a fast AC WiFi, providing an all-inclusive assortment of options for every-day users, plus many appealing features and an attractive aesthetic design exceeding expectations. Furthermore, Acer Aspire E series is one of the first laptop sporting the new Kaby Lake series of Intel processors coupled with its 1TB hard drive offering plenty of space to store all of your work and multimedia files. Not only that, the Aspire E 15 E5-575-33BM has a long-lasting battery life which can give users a realistic 7-9 hour from a single charge and up to 12 hours of use in ideal conditions. Accompanying its incredible performance is the fast 802.11ac wireless with new MU-MIMO technology that makes the Aspire E series shine in any situation. 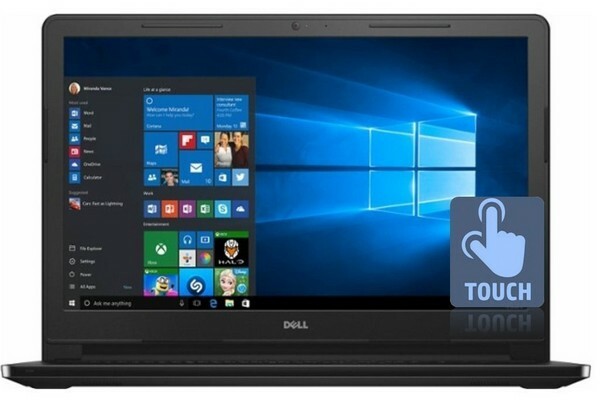 The Dell Inspiron 15.6″ Touchscreen HD Premium Laptop offers lightning-fast processing speed with its Intel Core i5 5200U, 3M Cache 2.20 GHz dual-core processor paired with 8 GB of DDR3L 1600 RAM. It features 1TB HDD to store your multimedia files while enjoying a 15.6-inch display featuring native 1366 x 768 HD resolution. 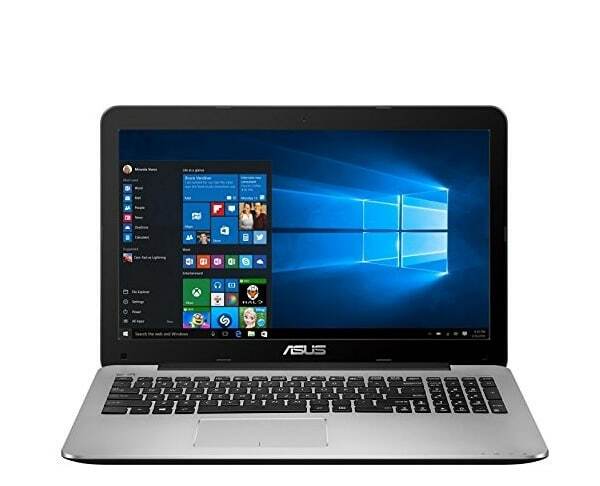 This laptop computer comes with pre-loaded Windows 10 Home and a built-in HD Webcam shooting 720p video. Breeze along with your favorite computer games with an Intel HD Graphics 5500 integrated card coupled with MaxxAudio stereo speakers, and the next-generation 802.11AC Wireless LAN that will keep you streaming smoothly. Additionally, the backlit keyboard allows you to work in low light and lets you work for up to 7.5 hours without needing a recharge with its removable 40 WHr, 4-Cell Battery. The ASUS X555DA-AS11 with Windows 10 in matte finish is the best choice for your every need value laptop for gaming and work. It is powered by an AMD Quad-Core A10-8700P 1.8 GHz (Turbo to 3.2 GHz), paired with 8GB RAM and 256GB SSD HDD. It features an ergonomically designed keyboard with IceCool technology keeping the palm rest at a very comfy temperature and a 15.6 inch LED backlit display with a 1920 x 1080 FHD resolution paired with high-fidelity audio from ASUS SonicMaster and ASUS AudioWizard. Furthermore, The ASUS X Series notebooks provide you all the computing necessities in a notebook with a tactile finish and a high quality, premium feel. 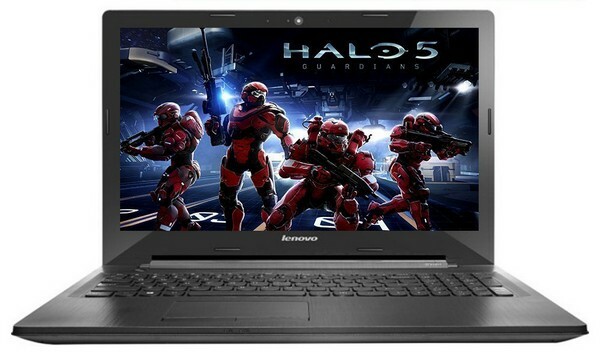 The Lenovo Z50 series 15.6-Inch HD Laptop is a high-performance laptop for your gaming and work needs. It comes with a fast and powerful quad-core AMD FX-7500 APU processor with Radeon R7 Graphics, 8GB of RAM and a 1TB hard drive, a great partner for multitasking. The Radeon R7 Graphics is great for your gaming requirements bringing superior visual authenticity and ensuring performance excellence for gaming and video playback. Furthermore, the Lenovo Z50 sports a perfectly stunning design, sleek curves, and a thin profile that’s less than an inch thin capable of housing a USB 3.0 port for quick charging and downloading, two USB 2.0 ports, plus plenty of HDMI and VGA ports for connecting to multiple displays. 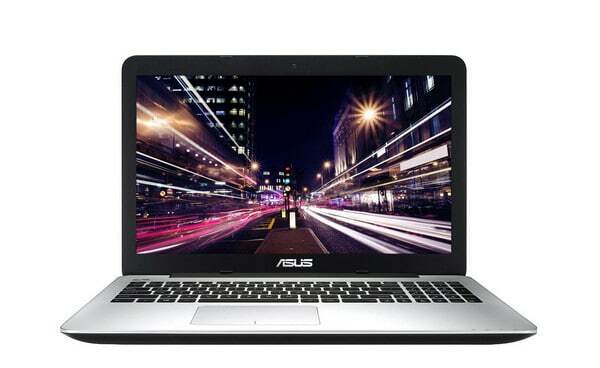 Looking for a laptop with a modern and timeless design, Asus F555LA-AB31 15.6-Inch Laptop is your best everyday companion. Aptly designed to take on your daily tasks, the Asus F555LA-AB31 fulfills your expectations of an all-round notebook capable of taking in every task you throw-in. It has a clean, modern-day design featuring a finish of subtle concentric circles paired with a matte coating palm rests. With the body’s subtle finish, there’s no need to fear about smudges, because the whole body is fingerprint-resistant, and not only it feels comfortable in your hands, it also adds a touch of sophistication and elegance. Furthermore, it can house multiple USB 3.0 ports for fast data transfer coupled with the latest 802.11AC wireless for a steadfast Internet connectivity. This 8GB memory/1TB HDD Lenovo Z50 is a slim and light entertainment notebook built for premium performance is integrated with a DVD drive and a Dolby enhanced audio. Its 15.6 in LED-Backlit HD display with 1366 x 768 resolution, is powered by a powerful quad-core AMD FX-7500 2.10 GHz processor and integrated with AMD Radeon R7 graphics coprocessor delivers an unparalleled entertainment experience for home, work, play or while you’re on the go. The AMD FX-7500 provides outstanding speed for multitasking, in addition to increased power efficiency and smooth flowing video playback with up to 5 hours of battery life. This sleek and slender Z50 sports a stunning design with sleek curves and a slim silhouette that’s under an inch thick. This laptop from HP is the only laptop with 8GB DDR3L 1600MHz RAM, 128GB SSD that can be found that was under the range of $400 – $500 dollars, outside of course, of used or refurbished ones. 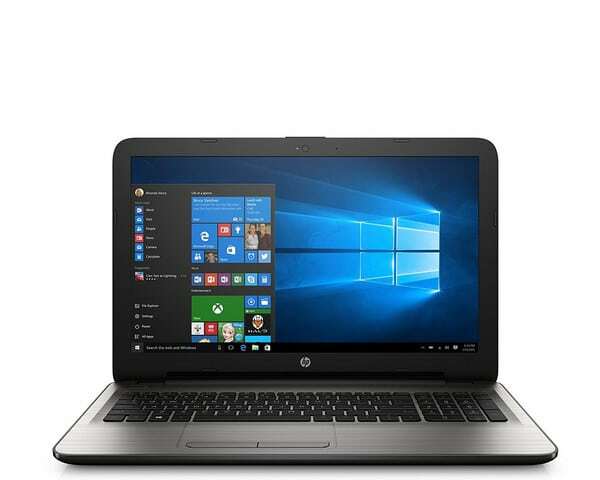 This is the newest of its 2016 HP’s High-Performance Premium laptops with a 15.6 Inch display powered by Quad-Core AMD A6-7310 2.0 GHz processor paired with an AMD Radeon R4 graphics coprocessor. It features a 15.6″ Diagonal HD with a maximum 1366 x 768 screen resolution, anti-glare and energy efficient LED backlight display. It has a Bluetooth 4.0 with a wireless technology 802.11ac next generation high-speed reliable wireless LAN. The HP 15-ay011nr Notebook laptop with15.6 inch display is one laptop that is empowered to do more. It is an affordable desktop replacement laptop with a full HD display and hardware suited to tackle your day-to-day computing tasks. It has a strong productivity and multimedia performance that comes packed with every features you need for its model type, although it lacks keyboard backlighting. The HP 15-ay011nr 15.6″ diagonal Full HD SVA anti-glare Notebook laptop maintains its well-rounded features, including a fast 6th generation 2.3 GHz Intel Core i5-6200U processor, 1TB 5400RPM Hard Drive, 8GB DDR3L SDRAM memory, and a 1920×1080 pixels display, good for 1080p HD videos. The full-HD resolutions are something that we’ve previously often seen on mostly pricier systems. By its standard, it is still a full-sized laptop thanks to its 15.6-inch screen and its dimensions of 10.02 x 15.12 x 0.95 inches (L x W x H) and its total weight of 4.73 pounds. With plenty of HDD space in its system, you can work, play, and multitask, and store more of what files that’s important to you. 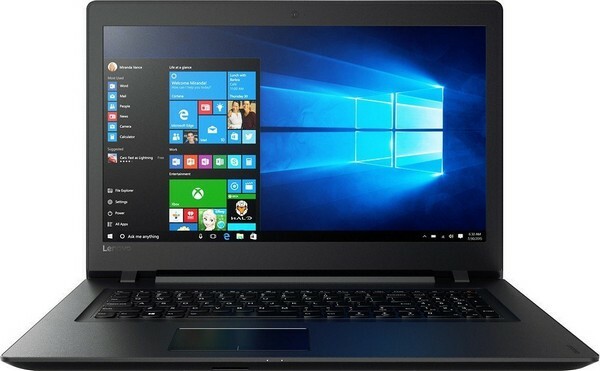 The Lenovo 110-17IKB 17.3″ HD is a premium laptop powered by 7th generation Dual Core Intel Core i5-7200U processor paired with an 8GB of DDR4L RAM. The large 17.3-inch display will allow you to play more comfortably although it is not a full HD with just a native 1600 x 900 pixel resolution, however, you can still play classic games with it or the more popular Overwatch 2016 release on medium settings. Despite the fact that the Intel HD Graphics 620 will not be at a level of your expectation, you are still able to play some great games such as Age of Empires II, Diablo III, or Command & Conquer Red Alert 3. Although it offers 1TB HDD of storage space, it uses a slower 5400rpm mechanical hard drives, meaning that your games will take a little longer to load and Windows will never boot as fast as with a solid state drive, but you can still upgrade the storage drive if you want to a much faster SSD in the future, however, they are still very pricey when looking at larger drives. A few years ago, every computer gaming aficionados thought that a gaming laptop under $500 was thought to be of inferior quality – poor battery lives, under-performing processors, deprived of quality graphics, etc. and owning a powerful machine is not cheap. Today, it is not the case anymore because the current crop of fully loaded reasonably priced gaming laptops with Windows 10 make you wonder why you would even need to pay a staggering amount of hard-earned money for the latest gadget. Many people are now acknowledging that the processing power offered in modern modestly priced laptops far surpasses their daily requirements. It may not be the best of the powerful machines at this price level, but it can very well get the job done especially for the gamer on a budget. For many people, this is more than enough. Additionally, for your everyday work and gaming needs, a gaming laptop with ergonomic keyboards is also very comfortable and necessary. This will end our reviews for the best gaming laptop under $500, but for those with a few more dollars to spend, be sure to head over to our Best Gaming Laptop Under $1000 review for more powerful machines.